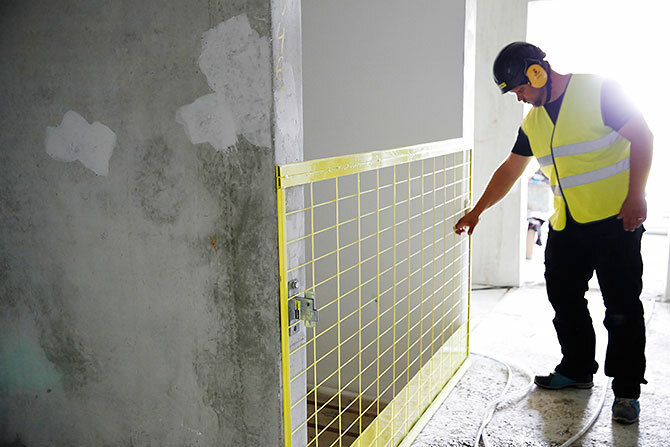 Before the lift is installed in the lift shaft the opening should be protected against falls from the respective floors. 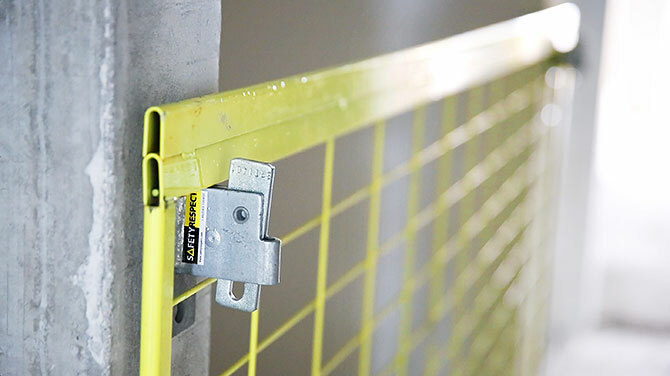 It is also important to protect the lift installer and other professionals working in the shaft against falling objects. 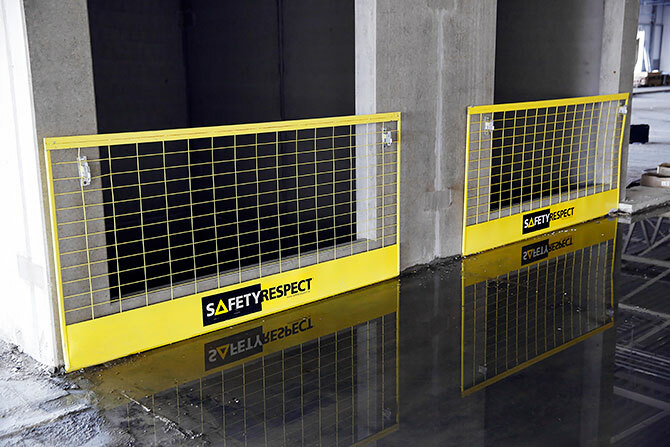 Lift openings can quickly and easily be secured by using a Wall bracket installed on each side of with Barriers. 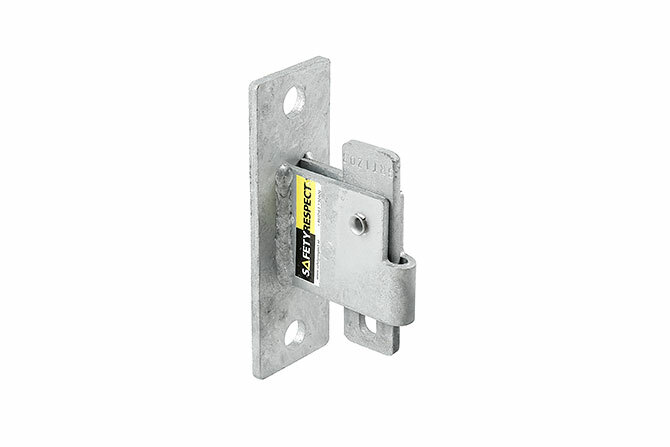 The lock function of the wall bracket works so that the solution works as a lift gate as well. With this attachment there is no need for posts and customary attachment on the slab. 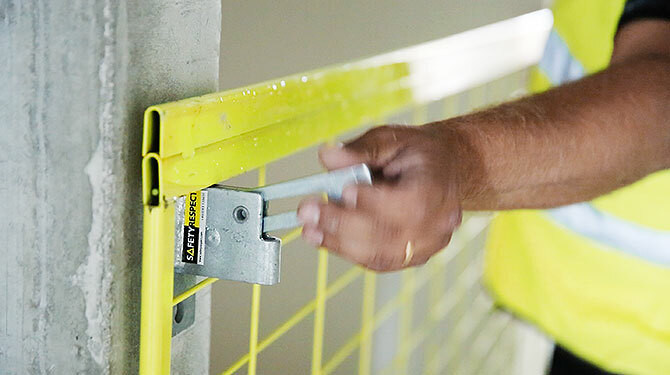 This gives great advantage as repair of edge protection attachments is not required on the slab.